Harveys Bristol Cream Sherry is a popular Sherry available from Tesco Groceries in 75cl to buy online. Visit Tesco Groceries for the best price for 75cl of Harveys Bristol Cream Sherry or compare prices on our other Sherry products. Harveys Bristol Cream features wonderful tastes of roasted nuts and raisins, with a subtly spice on the end. Harveys Bristol Cream is usually served well chilled as an aperitif, as an after dinner drank straight, or on the rocks with a wedge of lime or slice of orange. As a dessert wine, serve with cheesecake, flan, bread pudding or creme brulee. Where to buy Harveys Bristol Cream Sherry ? Harveys Bristol Cream Sherry Supermarkets & Stockists. 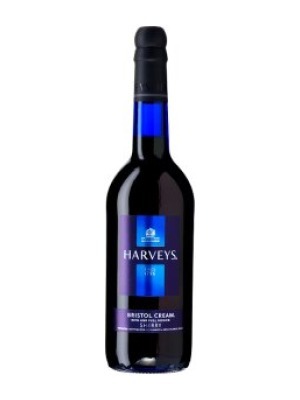 You can buy Harveys Bristol Cream Sherry online in most retailers and find it in the Sherry aisle in supermarkets but we found the best deals online for Harveys Bristol Cream Sherry in Tesco Groceries, Tesco Wine, DrinkSupermarket.com, TheDrinkShop, and others. Compare the current price of Harveys Bristol Cream Sherry in 75cl size in the table of offers below. Simply click on the button to order Harveys Bristol Cream Sherry online now.